NDM has joined forces with Smartwater to launch its ‘Tools in Transit’ insurance package. Tool thefts from vehicles are continuing to rise, with over 64,000 thefts reported since 2015. With the average loss of income suffered from vehicle tool theft weighing in at a substantial £550 per day per van, it is very clear that something needs to be done to reverse this worrying trend. As SmartWater Insurance Services, NDM Insurance and SmartWater have launched a ‘Tools in Transit’ insurance policy, combined with a SmartWater Tool & Equipment Security Pack. The combination of SmartWater to forensically mark insured tools and deter would‐be thieves, together with a Tools in Transit insurance policy underwritten by RSA, has been created specifically for covering tools routinely carried in a vehicle. All SmartWater Tools in Transit insurance policies include access to a free mobile app allowing policyholders to record details of their covered tools, costs and receipts, all in the palm of their hand. Should a loss occur, a claim can be processed and managed with minimum delay. You can even purchase a policy through the app, which can be downloaded now from the Apple App Store and Google Play Store. The SmartWater pack included provides enough forensic liquid and deterrent labels to protect around 100 tools, as well as warning signage to affix to the vehicle. 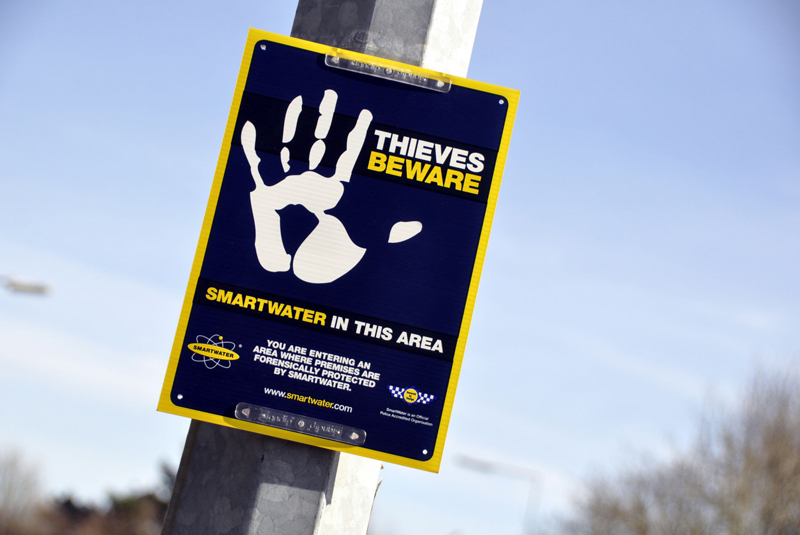 Given that 74% of criminals said they would avoid a location where SmartWater signage was on display ‐ the company hopes that this new offering will be a step towards turning the tide on tool thieves.